The crib is the place where the baby spends most of the time. Therefore, it is necessary to make it as cozy, comfortable and safe. Now in stores a huge selection of bedding sets. And many sets includes canopy. This decoration is the crib causes a lot of debate among parents. Opponents valances call it "dust collector" and "non-functional thing." However, most parents do not refuse to use this kind of decoration crib. And the reason here not only in the beauty – covered canopyOhm crib baby feels more comfortable, just like at the cabin. Main ways of placing a canopyover the crib and two. The first method consists in fixing of the canopyand the headboard of the crib. So secured, it will not cover the whole crib, but baby will arrive more fresh air, which is important. The second method is to fasten the canopy on one side. This method is particularly useful if the bed is along the wall. 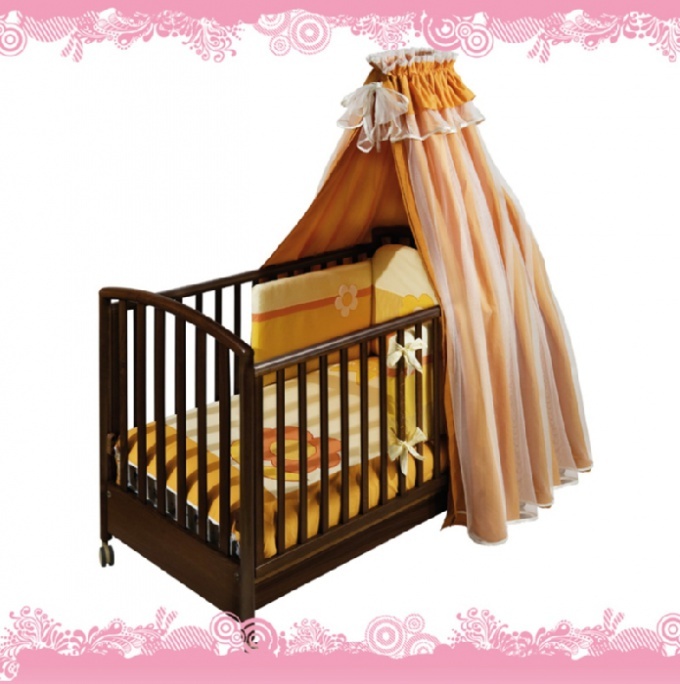 However, no matter how fixed the canopy, it is not necessary to close them all the crib. Even mesh is usually made valances, prevent free circulation of air. And don't forget to wash it often - on canopye do the dust settles, regardless of what material it is made.